I had not previously heard of Nancy G. Roman. She was NASA's first chief of Astronomy (note that is first not first female) and is particularly well-known for her contributions to the Hubble telescope. TBH, I'm absurdly pleased with my Lego Hubble telescope! From the Women of NASA Lego set my sister gave me for my birthday. Sally was America's first woman in space and Mae Jemison was the first woman of colour in space. Both went on to careers in Science Communication and Jemison now leads 100 Year Starship - global initiative developing a business plan to foster research into interstellar travel. 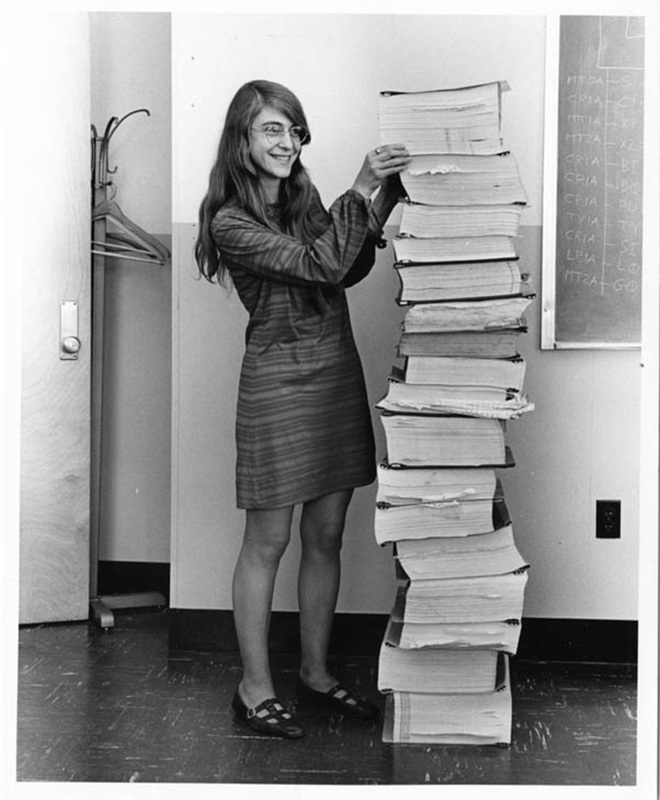 Lego Margaret Hamliton almost, but not quite, recreating the famous photo of her with the Apollo Guidance Computer source code she and her team wrote. From my birthday present, Lego women of NASA set. I have a Lego robot named Margaret after her.